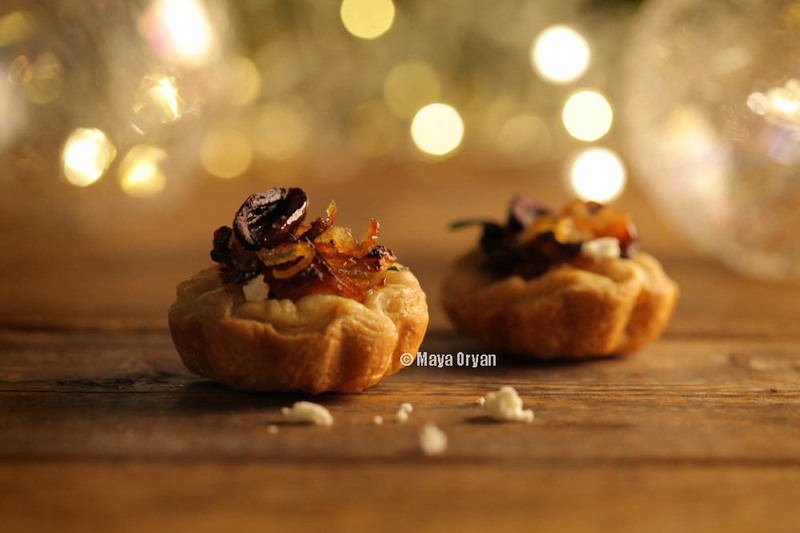 This entry was posted in Appetizer and tagged caramelized onions, feta cheese, figs, food photography, goat cheese, lebanese food blogger, Lebanese food stylist, Maya Oryan, MayasIngredients, olives, pâte feuilletée, puff pastry, Quiche, tart, tartelette by Maya Oryan. Bookmark the permalink. This look very appetizing! and the photography on all your posts is beautiful. Do you mind me asking what camera/lens/software/light setting you use to take your photos? Your husband is very talented, an so is the food stylist and chef! 😊 I tend to take photos of my food with my phone camera, so the quality is not great, and I’m yet to understand how to style food the best way. But my husband also takes pictures of my food with his proper gear, and those look way much better. He likes putting them on his blog at http://composeandshoot.wordpress.com.